Happy Thanksgiving all you wonderful 32M Followers! A comprehensive update has been made to the spoilage function for the kiosk’s communication with the website, for a more intuitive approach. This is a brand new report designed to allow for easily determining cash put in (or out) a kiosk during a specific time period. 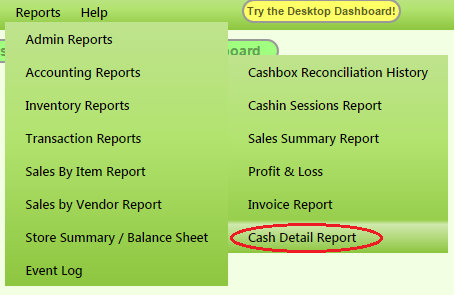 The report allows for a true cash reporting approach, without having to look at multiple places to see what cash came in or out, specific to cashbox sessions. And for even more awesomeness, it will warn you if the ‘Till’ session date range is outside of the selected date range, by highlighting in red text. Meaning, that there is more to that till session than what is currently showing. The kiosk is now triggering an abandoned shopping cart when the ‘Home’ button is pushed while the cart is populated with items. It will also now show a no image picture along with details of the abandoned cart. This report now includes funds left over from cash transactions when the user refuses to associate an email or log-in. So to round out the update, there are a lot of exciting things happening around here currently, and more to come. Do you have questions about these updates? Need help utilizing these great new features? Don’t wait! Get started right away – our customer service team is always here to help; so contact Marni, Dan or Michael at 715.386.2233 (We prefer you call Marni though). We really want to wish everyone a Happy Thanksgiving and safe travels from everyone at Three Square Market! Posted on November 26, 2014 November 28, 2014 Categories Features and UpdatesTags 32Market, New, Three Square MarketLeave a comment on 32MARKET.COM UPDATES! Ask and you shall receive! 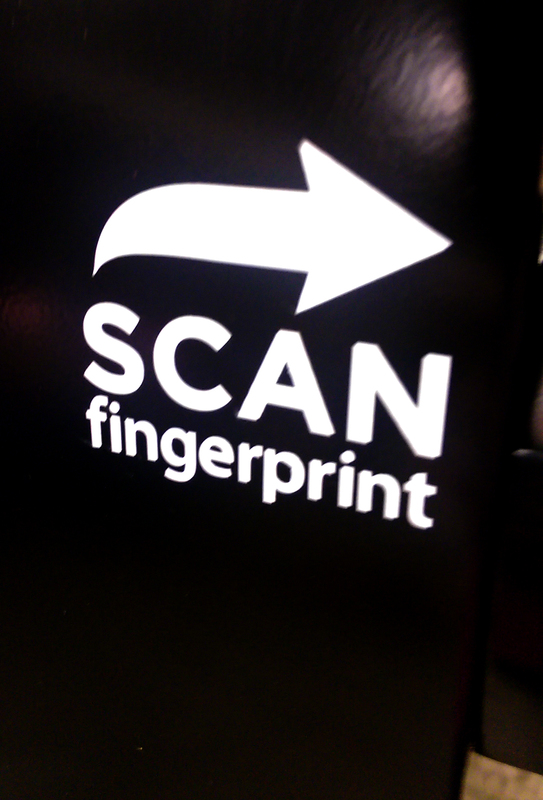 We have recently updated our standard kiosk decals to a refreshed style. Take a look and let us know what you think!?! Format GalleryPosted on November 25, 2014 November 25, 2014 Categories Features and UpdatesTags #BreakRoomRehab, 32Market, Fresh, kiosk, look, Style2 Comments on Standard Decal Refresh! I love best practices, especially ones that have been used and work versus simply something talked about on a conference call and today, I heard one of the best ones I have heard in a while from Jon Evans of Choice Vending Supply in Salt Lake City, UT. I am certain this small investment will go a long way to growing sales, as it is already doing for Choice. Jon has looked at our market start up costs versus our competition. When he considered that to win this particular large account he is working on, he had to be the orange in an apples to apples comparison. Thus, rather than just submitting a bid with a client that made the customer try to separate which fruit was better, Jon through an orange in the bucket by having the 32M operator add $1500 to his bid on a 2000 person site that contributed to new breakroom furniture – as Jon put – let’s contribute to the rehab of the breakroom. He helped them “spend the $1500” by suggesting things they could do with the money: new tables/chairs, new TV’s….he got them thinking beyond just a market sale, he got them thinking about an entire environment change. And how long will it take to recoup the investment on a large location like that? Probably less than a week. Think outside the box. Know that often the offer and presentation that shows you put some thought to offer, something that is typically, can be BIG in the grand scheme. In this instance, it was the deal sealer. Nice work Jon and Choice Vending Supply. The kiosk operation and trouble-shooting manual is out and available for use. To request a digital or hard copy of this manual please contact your 32Market staff – Dan, Michael or Myself. Self-help support portal for distributors and operators. This portal will assist you with basic trouble-shooting tips, operator and distributor documents, and will also allow you to make requests for assistance via a ticket system. Posted on November 24, 2014 November 24, 2014 Categories Features and UpdatesTags #BreakRoomRehab, 32Market, Coming Soon, New, Three Square Market, Trouble-shooting, UpdatesLeave a comment on What’s New with 32! 1) Our inventory management is superior to everyone; when operators let our system do its’ job, something we will train you to do, you can expect incremental profits because you have the right amount of the right products in your store and don’t have the products on the shelves that don’t sell. 2) Smart phone technology: In an industry that prides itself on bringing a revolution to an industry, 32M is the only operator that has a smart-phone application let alone has a patent on it. 3) Reliability: When you combine our jail and market kiosks, we are the #1 provider of kiosks in this industry. In less than 18 months, 32M has grown to be the #3 provider in micro markets alone. Why? Reliability. Not because we know it, it’s because what our operators who have converted from other systems tell us. We monitor our systems 24/7/365 to ensure they stay live. Failure to means our inmate kiosks get destroyed and your micromarket stores are flying blind. Our industry best-in-class monitoring gives you the peace of mind that your store is always open. Considering that 32M only entered this arena less than 18 months ago, it tells you the major majority of operators entering the market or growing their markets, who have looked outside the biggest two system providers, have turned to 32M more than any other provider by a land-slide. And with this momentum, 32M plans on becoming the #1 provider in the next 2-3 years. Have a great day making a sale. Want some more of sales rants and just my outlook at times in life, here is where I expand on thoughts I post on social media. Some are motivation, other facts, some praises, and others just funny stuff. I think you will find this a useful 15 minutes of your time. It is basically a summation of my experiences, mistakes, lessons learned and my passions. Goals are great. Without them, where is your business and life headed. But many people start out on conquering their goals with little planning on how to hit them let alone a realistic plan to achieve success. Change that. And use possible the best example in business to follow to give yourself the best chance at success, Southwest Airlines, SWA. SWA should be called Simple We Are Airlines. They fly only one model of airplane, the Boeing 737. Mechanics look at the same airplane every day thus there is very little grey area on what it takes to ensure a pilot has an airworthy aircraft. They board their planes the exact same way. They stock their planes the exact same way. Their luggage is put the exact same process airport to airport. Their routines do not deviate. Thus, by making the routine the exact same every single time, it is like clockwork for every employee in their roles thus making each task to the point of mundane because they do the same thing over and over and over …. and over ….. and over again tomorrow and every day. By making each employees job easy (within reason), the SWA execution is untouched in the industry. There isn’t a courier world wide that can touch their profitability since 9/11, they are the only airline that has never seen a bankruptcy court let alone numbers in the red on their balance sheet and profit and loss. Their customer satisfaction rating by independent agencies routinely crush the competition and nearly every quarter they are #1 in being on time, luggage execution and more. And, by making their jobs easy, SWA has employees who can focus on what matters most, customer satisfaction. Rarely will you find a SWA employee with a scowl and ask a SWA employee if they like their job and I have found my personal inspection of asking this question to be nearly 99%. And in the end, SWA is the ONLY carrier world wide to have never have a major accident. See any coincidence? Many airlines now are borrowing and stealing SWA ideas but none of them can afford to match their simple model. Many can’t because their lack of profits forever don’t allow it. 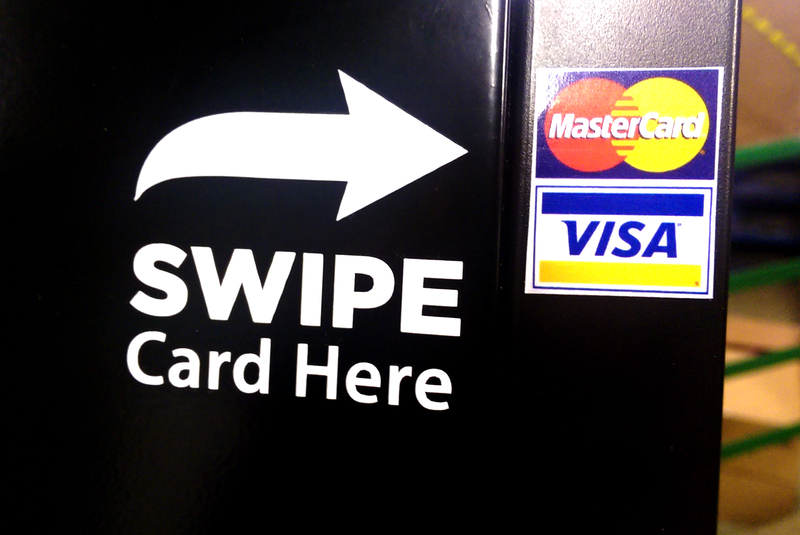 They are saddled with debt and archaic practices and systems and the legacy of buying another competitor who has a closet full of problems in every facet, they couldn’t begin to undue the mess to simply execute at the SWA level. Thus, the point being, if you are struggling in your job, leading your department, running your division or leading your company, look at your processes and tasks. If they are so complex, archaic, lack automation, undisciplined, undefined, and don’t match anything I just described, then you need to start NOW to do this. It is great that I outline this but unless I give you a tool to fix it, this is a worthless post. So here it is: Start with 4-5 items you MUST do every day to make yourself successful. If you have a staff, identify the same for your staff and get their input. Then micro manage the s*** out of this. Demand it and don’t be nice about accepting anything else. NOTHING. Ask yourself this question, if you did this, where would you or your business, division, branch, or LIFE for that matter, be, if you did this for the next 30 days? 60 days? And as you got those initial 4-5 actions engrained as the norm, you can begin to take on 2-3 more tasks done daily at the same intensity, some you do once or twice weekly, some even once monthly. But you again, micro manage the s*** out of this and you will change everything to where it becomes automatic and done at the highest level. Start today. Define it and then execute it at the highest level whatever the scope may be, and what your routines spell is SUCCESS! Let me know if I can help you plan 2015 and set your sites high.